It’s been months since the last Soyuz capsule take off, which failed but the astronauts were unharmed. Now, the rocket took off with the same capsule and same astronauts to the International Space Station, and they’ve successfully docked to the ISS. 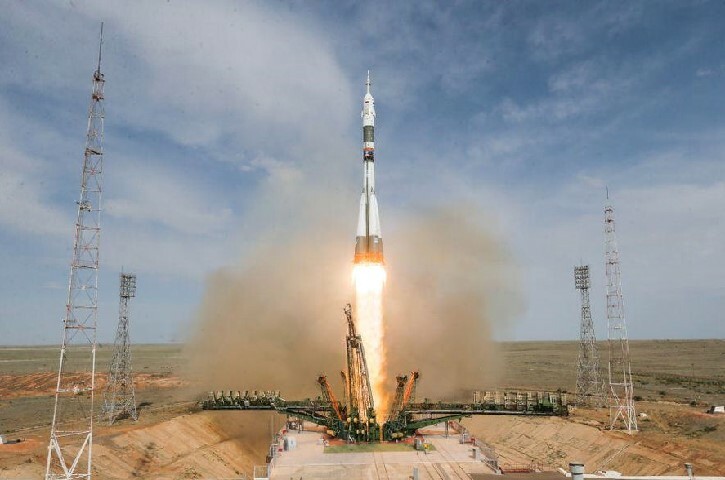 American Astronaut Nick Hughes and Russian Astronaut Alexey Ovchinin successfully made it to the ISS after a first failed mission. Along with them, female astronaut Christina Koch made it the first time to the International Space Station for a historical spacewalk that will include only female members. After a few hours of takeoff and orbiting around the earth, the capsule docked the international space station, and the astronauts entered the station after hatching the doors. With this mission, the crew count of the ISS is increased to recommended six. The trio of the astronauts will stay for approximately six months performing multiple spacewalks and scientific experiments. According to NASA’s official statement, the trio will conduct nearly 250 scientific tests aboard ISS in the field of biology, Earth science, human research, physical sciences, and technology development. Out of these 250 planned experiments, 75 experiments are being performed for the first time. Almost all of the scientific experiments performed on the International Space Station provide essential information to the NASA and Russian Space Agency ROSCOSMOS. Also, the same tests offer valuable feedback to improve safety for future missions. Not just the experiments, but the astronauts will perform six spacewalks to repair the external side of the ISS. Astronaut Christina Koch and Anne McClain will conduct a first all-female spacewalk on March 24th, that will be marked in golden words. Almost all of the scientific research on the ISS is sponsored by U.S. National Laboratory, which the Congress commissioned in 2005 to get essential information for improving life on earth.